This device (house?) is called The Funnel Wall. 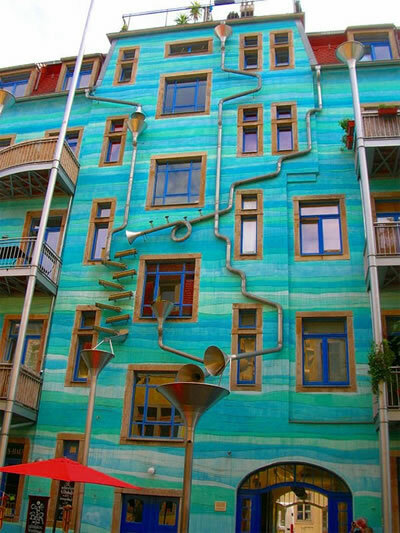 Located in Dresden, Germany, it apparently creates entertaining music when it rains. The Funnel Wall was created by artists Annette Paul, Christoph Roßner and André Tempel. Although not a prediction, I am nevertheless reminded of the beautiful Darkdawn city from George R.R. Martin's 1977 story Dying of the Light. See more pictures of The Funnel Wall.